Make the Change From Reactive to Proactive! 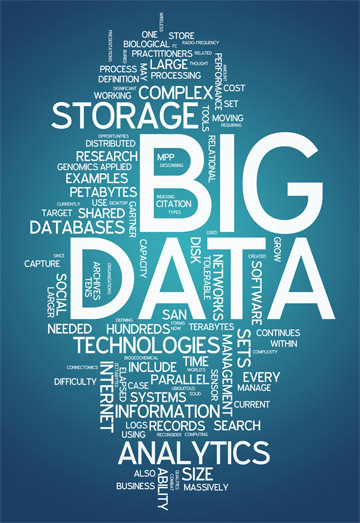 What is “Big Data Analytics”? Big Data Analytics is the process of examining large amounts of data of a variety of types to uncover hidden patterns, unknown correlations, and other useful information. Such information can provide competitive advantages over other service providers and result in business benefits such as more effective marketing and increased revenue. The primary goal of Big Data Analytics is to help providers make better business decisions by enabling data analysts and other users to analyze huge volumes of transaction data as well as other data sources that may be left untapped by conventional business intelligence tools. These data sources typically include CDRs, IPDRs, DPI, billing & ordering data, provisioning, etc. Watch a short video from ATS’ COO Peter Mueller where he gives a brief introduction to Big Data and why Telco’s should care about it. It’s actually much less expensive than you may think. Depending on the size of the service provider, the cost to store 1 month’s worth of call detail records is about the same as the cost of buying coffee for 1 week. Data starts to add up quickly, even for a smaller service provider. ATS recommends you store data for a minimum of 5 years for both ‘good practice’ as well as regulatory requirements (CALEA, etc.). Once you’re storing your data with us, the storage component becomes just a small part of what you can do with it. Cloud storage providers understand that security is a major concern and they have large teams dedicated to just that. The data transfer is encrypted and you can choose to store the data encrypted as well. Your data is likely just as secure, if not more secure, than how you store it today. This may seem like an odd myth to include, but here’s what it means. Just storing your data in a cloud environment doesn’t mean it will throw out the insightful analytics that you’re hoping for. Once you start to utilize the big data tools available and implement ATS’ advanced analytic modules, then you will begin to see the insights into your data. Most Big Data ‘insights’ will fit in a small excel sheet. But getting from the large volume of data to that small excel sheet is where we can help. You don’t need to be a Big Data expert to get started in Big Data. The big players like Amazon and Google publish lots of information to get you on your way. If you want to get started quickly without the learning curve, ATS can help.